The buffer and booster units come in miniature enclosures with a single gain knob and external DIP switches. This diminutive pedal offers +12dB of clean boost, combatting signal loss caused by long cable cords and multiple effects. It features the 4558 integrated circuit and four EQ DIP switches: High, High Mid, Low Mid, Low. There’s also a gain knob that allows you to gently nudge your tone, should you need to. 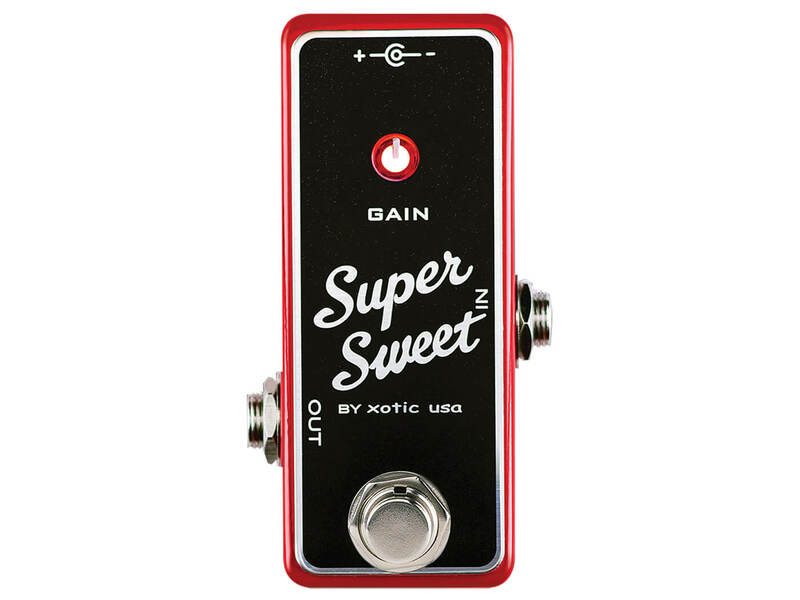 The Super Sweet is similar to the previous pedal, but offers way more headroom. It provides a dynamic, transparent clean boost of +20dB and features a Class A preamp that’s based on the legendary JRC4558 chip. 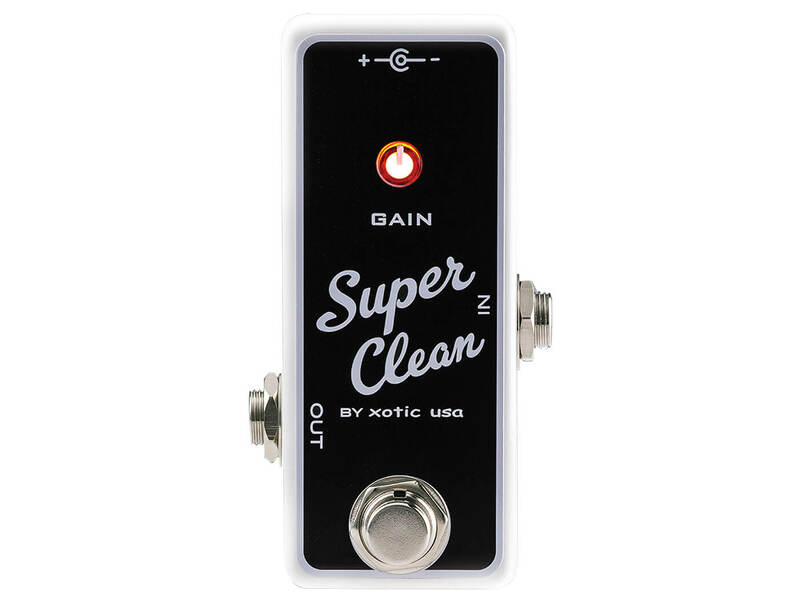 Like the Super Clean, the Super Sweet also features four EQ DIP switches and a single gain knob. Available from February at $120 each. More information at xotic.us.